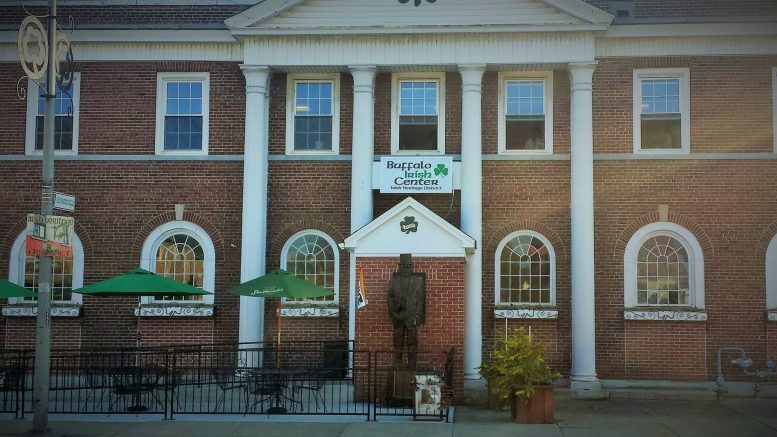 The Buffalo Irish Center is a cultural icon in South Buffalo and beyond. Recognized as a heritage center, it provides the Buffalo community with a link to Éire (Ireland), with many of its own emigrating and settling in Buffalo and working on the canal, the lake freighters, in local industry and in service to Police and Fire Departments in the Western New York community. The Buffalo Irish Center was recently in the news when a burglary in January 2018 resulted in a loss of thousands of dollars and historical documents, compounding the financial strain of maintaining operations. In an effort to support the Buffalo Irish Center, the Scoil Chultúr agus Teanga na hÉireann (School of Culture and Irish Language) is organizing Leannta Dubha Bhuffalo (Buffalo Dark Ales), a Dark Ale, Porter and Stout Tasting Event to raise funds for the Buffalo Irish Center. The Event will be held from 6 to 8 p.m. April 28 at The Buffalo Irish Center, 245 Abbott Road, Buffalo. For a $25 ticket, guests will sample 20 different beers from craft brewers. Participating brewers include Flying Bison, Big Ditch, 12 Gates, Buffalo Brewing, Ithaca, Sullivan’s, Great Lakes, Resurgence, Pressure Drop and 42 North. Guests will receive a commemorative tasting glass and will enjoy a live traditional music session. Food will be available for purchase including traditional Irish stew. Additionally, there will be a 50/50 raffle and door prize. Several businesses and individuals are sponsoring this event, including Great Lakes Transport Solutions, Rigidized Metals Corporation, Dr. James Hoddick DDS, Nightengale Funeral Home, Rowan Tree Healing Arts, Catholic Health/Mercy Hospital of Buffalo, Young & Wright Architectural, Wooly Acres Maple Farm, Richard Hogan, Ann Nolfe and Caoimhín Mac Raoi. Tickets are available at the Buffalo Irish Center pub, and online at https://www.eventbrite.com/e/leannta-dubha-bhuffalo-buffalo-dark-ales-tickets-43849931325?aff=eac2. Any business interested in sponsorship can contact Joann Russell at jo.jr33@gmail.com. All proceeds from this event will benefit the Buffalo Irish Center. Be the first to comment on "Buffalo Irish Center to host beer-tasting event"